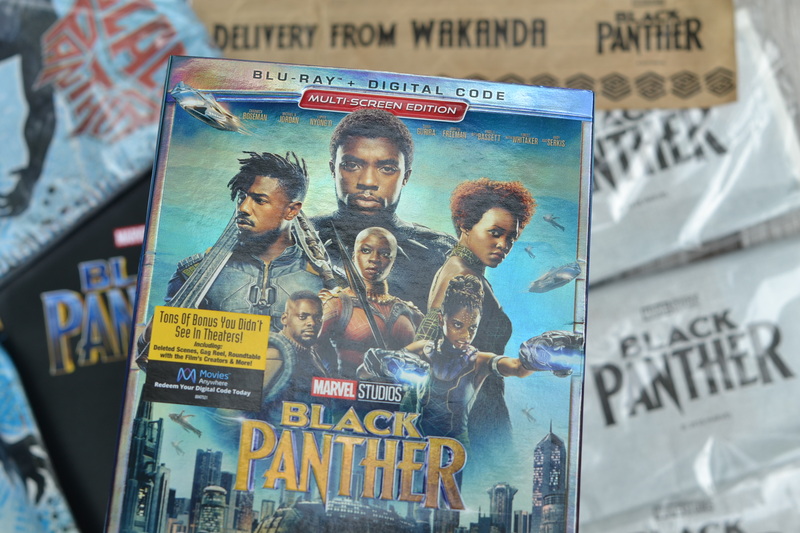 I got a special delivery from Wakanda for doing all of the press and promotion for the 1 billion dollar global breaking movie in Marvel history, Black Panther! 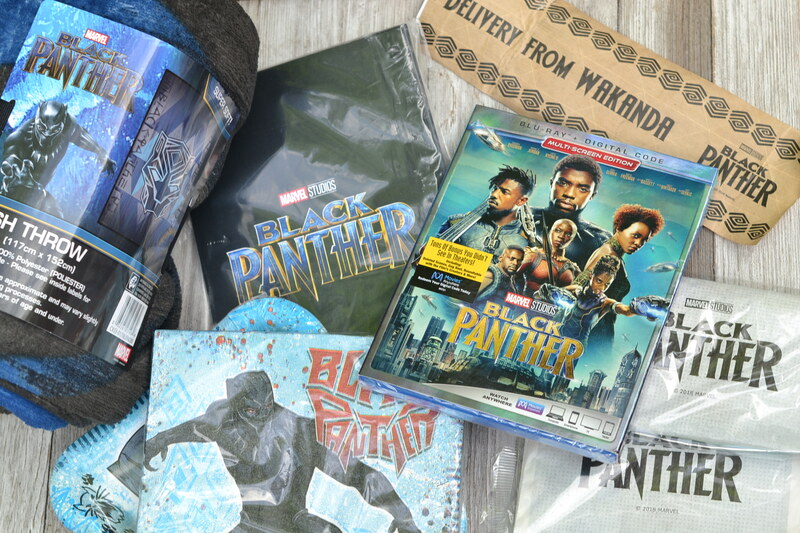 I got some amazing goodies from a Black Panther throw, signature popcorn, plates and napkins, bingo game and a Marvel’s Black Panther Blu-ray™ which is out today! I am so excited to share that Marvel Studios’ Black Panther is available now for you all to take home a piece of Wakanda Forever! the highly celebrated story of T’Challa (Chadwick Boseman), a young African prince who takes on the mantle of King and Super Hero, has thrilled and inspired generations of moviegoers around the globe. It did so well in the box office, broke so many movie records around the world, one must add it to their personal movie collection! 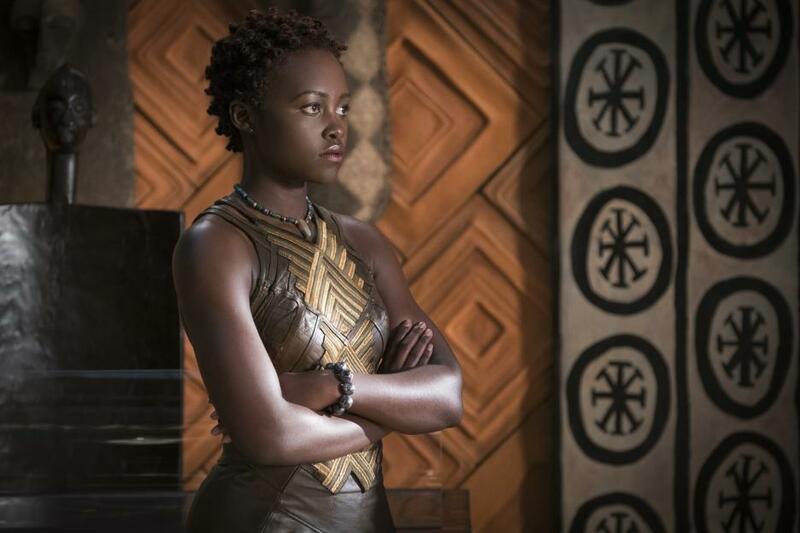 To celebrate the in-home release of Marvel Studios’ Black Panther, we’ve uncovered 10 stellar secrets from the making of the epic super hero saga. The mighty new Marvel movie is released Digitally in HD, 4K Ultra HD™ and Movies Anywhere on May 8 and on 4K Ultra HD™, Blu-ray™, DVD and On-Demand on May 15. Wakanda forever! Also in celebration of the film, I want to share 10 facts you didn’t know about the film! 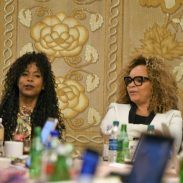 Digital release of Black Panther, check out a conversation with the cast and crew about the women of Wakanda, which is the subject of one of the exclusive bonus features: The Warriors Within. Please also enjoy images from the film, including a few previously unreleased! 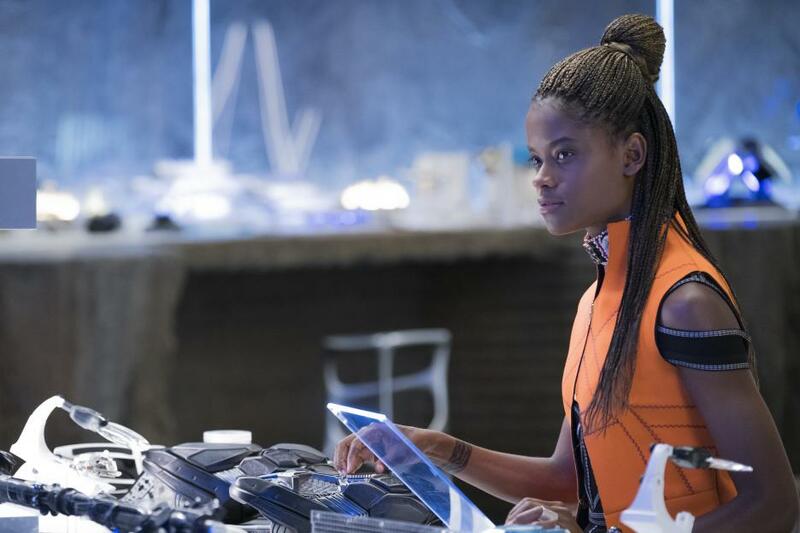 Click the image to download the Black Panther activity pages. It was a pleasure doing some exclusive press for Black Panther this year, and now I can watch own Wakanda Forever! 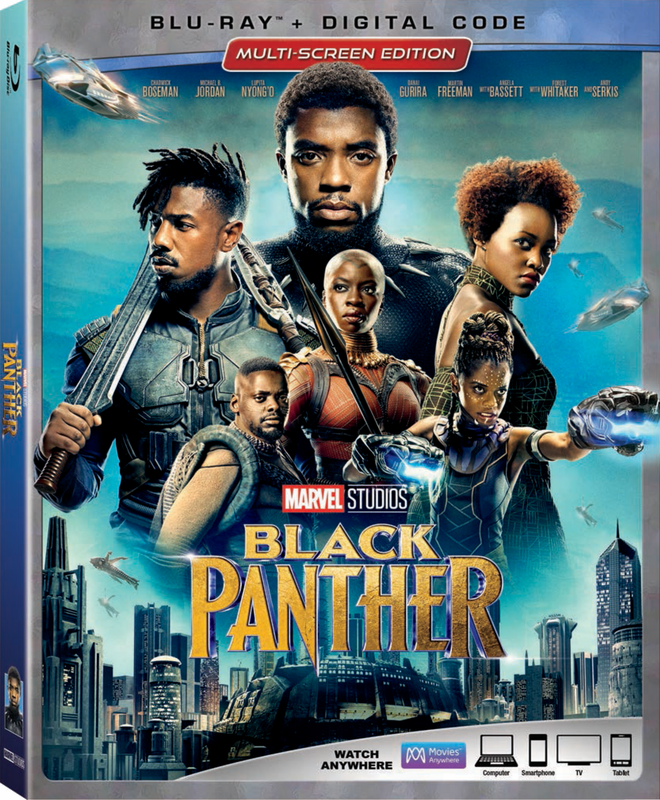 Bring Wakanda Home with Extensive Bonus Features That Allow People to Explore Deeper into The Wondrous World of Wakanda. 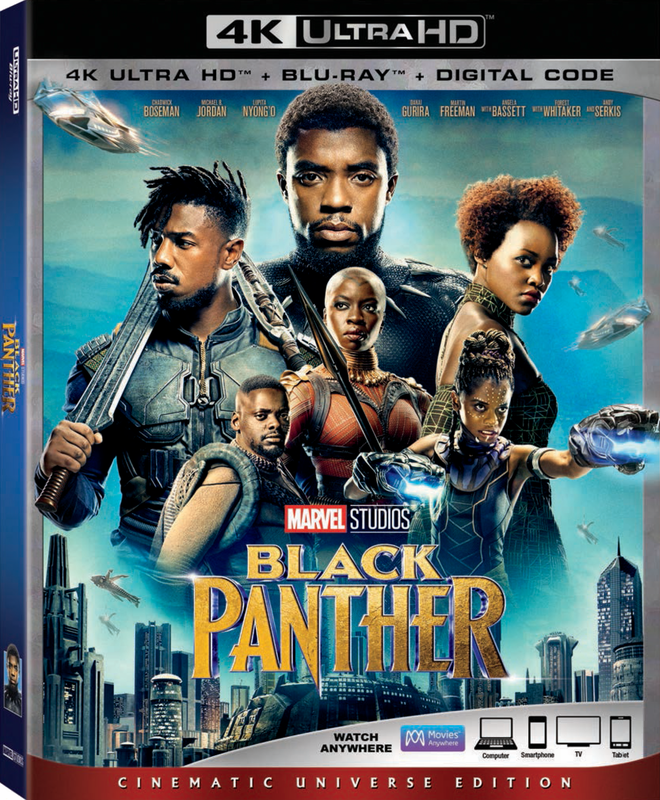 Marvel Studios’ Black Panther, which arrives on Blu-ray, DVD, 4K and On-Demand TODAY, May 15th! Will you Be Taking the World of Wakanda Home with You? We just ordered it, and we’re so excited! It blew us away when we saw it in the theater. It’s such a big movie! Wakanda forever! The special features and outakes will make this a collectable and great DVD to own. I have not seen the movie yet so I can’t wait to get it. It’s amazing all that actors have to go through for a part! Learning new languages and a crazy boot camp . . . they certainly earn their pay. I am dying to see this movie. I can’t wait to grab the DVD and watch it. I loved this movie. It’s one of my favorites from the MCU. I think it really showcased the women of the movie well. We haven’t seen this yet but we are hearing such great buzz. I think my husband wants to grab a copy and watch for our next movie night! This movie was so amazing! The CGI, the stunts….everything was so action-packed! I can’t wait to see it again with the family. I really enjoyed reading your “10 things” list. It’s always interesting to learn some of the behind-the-scenes of movies. I’ve yet to see this and I did some looking up and it doesn’t seem to come out here till next month so still a while to go – I can’t wait! 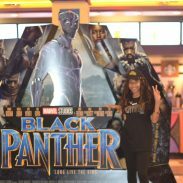 I am not usually a big fan of action and superheroes, but I absolutely loved Black Panther! The entire movie was amazing and one I consider a must own. I need to buy this. We haven’t seen it yet but it seems like a movie my family would really enjoy. Aww what a great list of “Super Hero Secrets”! I haven’t watched the movie but I heard that it’s an awesome one! THis is really great to know that we can now buy Black Panther, I am going to have to try to pick up a copy to see it. I have heard great reviews about it. I can’t wait to get my hands on my own copy! I have heard nothing but positive buzz about the film and can’t wait to see it for myself. I am not a big fan of action and super heroes. But I actually loved Black panther. I am not a big fan of action and super heroes films. But I loved Black panther. Great post. So amazing! I am psyched is it out on DVD! My son is going to flip over this! I can’t wait to get my hands on this DVD! Even the kids loved this movie! Rap battle behind the scene is very cool. I wish I can watch the battle, lol. Learning the language is fun and I’m sure it was challenging. Awesome that there were extras on the set to help! I didn’t know about the research trip. I think it’s key for actors to really get a feel for what their characters will be like by diving into their everyday life. 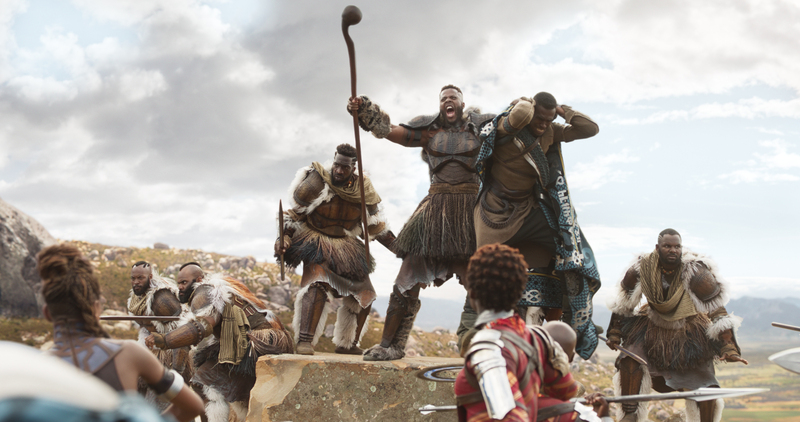 While Black Panther may not be the best MCU movie yet, a second watching did make me realize that it is one of the finest. Now of course, the cultural importance of this movie has been phenomenal. The first black lead superhero movie with an all black cast and so many strong women? Long due. This may not mean anything to a lot of us, but black kids seeing someone like them as a superhero creates a lasting impression. The numbers are here to speak for themselves. 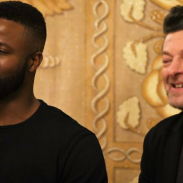 BP became just the second superhero movie to crack 200 million dollars opening weekend, after the Avengers, and fifth in the history of cinema. It is well on track to join the billion dollar club. These are all so interesting! I haven’t seen the movie yet but it looks so amazing! first off: wonderful items to receive in the mail 🙂 would love to hear how you did it? I’ve heard so many great things about the movie, but have yet to see it! I guess it’s perfect time for me to pick up the dvd! Now that it is on Blu Ray, we will be watching this. I have heard so many great things about this movie. I have heard nothing but amazing things about this film but I have yet to see it. Hoping it comes to Netflix so that I can check it out soon! I decided not to go see this movie, because I was tired of the superhero genre. But from the way you talk about black panther has lead me to believe that this has set itself apart from other superhero movies. Now that it is out on video I might have to go watch it. I’ve watched the movie for nth time and I like the storyline. I wish many movies like this will come. Those would be an awesome collection! These are some cool behind the scene reveals about the production. I can only imagine hearing about winning such a major role at a bus stop. We loved the movie and we are definitely looking forward to getting it on blu-ray. Lupita is stunning without so much effort. She is a real beauty. This is certainly a remarkable movie. These secrets are answers to some of the movie mistique. These are mind breaking. This is a must have! It is a really good movie I will be purchasing it. Yep! I sure am. Can’t wait until it is mine to own in my home. I am definitely getting this DVD for our home collection. We are going to have Black Panther movie nights on a regular. I loved seeing all of your recaps. Can you believe, I still haven’t taken my daughters to see it. Over the weekend my girls reminded me that we can now get it On Demand on our TV. I think they’ve waited long enough and we can watch it again together. I picked up our copy this weekend and I can’t wait to watch it over and over again. I also love the extra footage they include. My son saw the DVD in the store the other day. I didn’t buy it yet because I want to surprise him with it on our next road trip. I love getting to see deleted scenes from films I love. It’s like pulling the curtain back on a Broadway play! I’m such a fan of Black Panther! This DVD is definitely going into my collection. We havent bought any DVD’s in a long time because everything is streamed online, however, we bought this the first day it came out! We haven’t seen Black Panther yet so we’ll def be purchasing the DVD for summer movie nights. It’s 5 of us so this is a lil’ more cost effective, lol. One of my favorite movies! 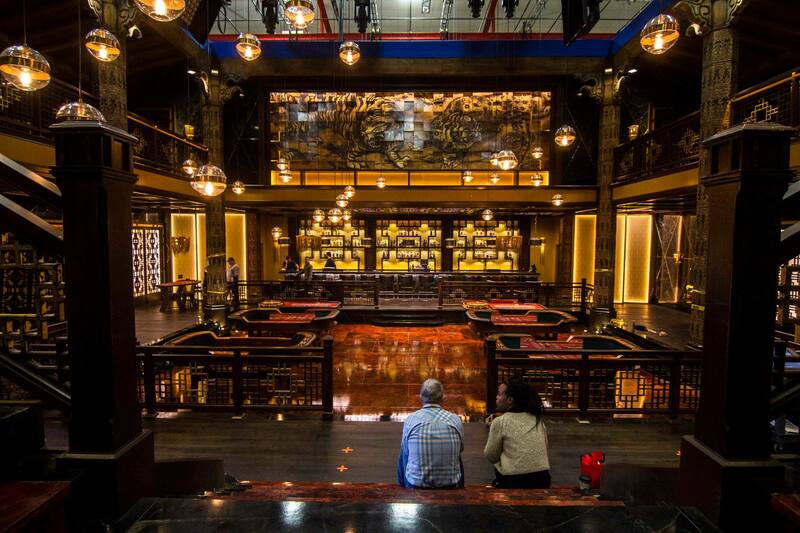 The sets were amazing and I love that the crew really tried to embody Wakanda and Africa in the film by doing deep research and travel. I am so glad that I saw this. What a great theme and overall message. I’m definitely going to grab a copy and watch this again and again. Thank you for sharing. That looks and sounds like an awesome event! I can’t wait to see Incredibles 2 with my kids!